GM reported its best sales month since August 2008. GM reported its strongest monthly sales since 2008, even as the automaker has recalled millions of autos this year. May sales for GM (GM) jumped 13% compared to a year earlier. Models ranging from small cars to full-size pickups and SUVs all saw big gains. Some GM sales did take a hit from the flood of recalls. The automaker ordered dealers to halt sales of its Buick Enclave and GMC Acardia right before the Memorial Day weekend to address a problem with the seat belts. 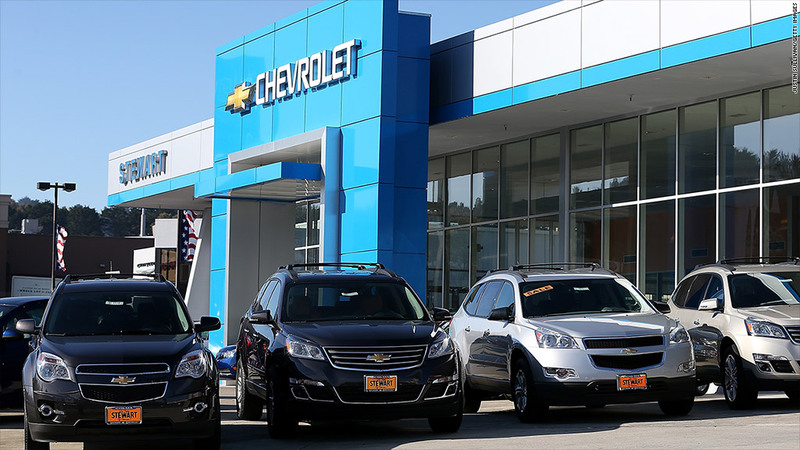 But Michelle Krebs, analyst with AutoTrader.com, said those sales are probably delayed, rather than lost to GM. "There have been so many recalls that consumers sort of become immune to it," said Krebs. And most serious recall problems, such as a faulty ignition switch tied to at least 13 deaths, involved older models that the automaker no longer builds. "The newer products are clearly much better," she said. GM has recalled 15.8 million cars and trucks worldwide this year -- a record number of recalls for the automaker in a single year. The ignition switch recall has prompted the automaker to change its process for ordering recalls and to go back and look at some past incident reports to see if a recall should have been ordered. So many of the recalls are for older models. GM wasn't the only automaker posting strong sales. Sales also increased 3% at Ford Motor (F), where many analysts were expecting a drop in sales. Both Toyota Motor (TM) and Chrysler Group posted a jump of 17% in May. Total monthly sales for the industry rose 11%, according to sales tracker Autodata. "Pent-up demand from the bad weather is finally being unleashed," said Krebs. "Interest rates are low and there's a lot of very attractive lease offers out there, which helps gets buyers into cars." Krebs said the recent rebound in hiring is also helping to boost car sales. On Friday, the U.S. government is expected to report gain of over 200,000 for May for the fourth month in a row.. That would be the first time since January 2000 that the labor market has enjoyed that kind of sustained growth.